No other book, written by a child, explains the loss of a loved one from this unique and positive perspective. The young author shows readers how to treasure the precious memories of their loved ones and connect with those who have moved on to Heaven. Both children and adults can identify with this book. It’s a must-have for every school and hospital library. Whether you’re a child therapist or a parent trying to help a child deal with the the loss of a loved one, this is the book that addresses a hard subject in an approachable manner. Learn more about the book and author. Order your book today. For 40 years as a congregational rabbi I would tell persons who lost a loved one that he or she is now part of God’s Eternity but their spirit abides within us. 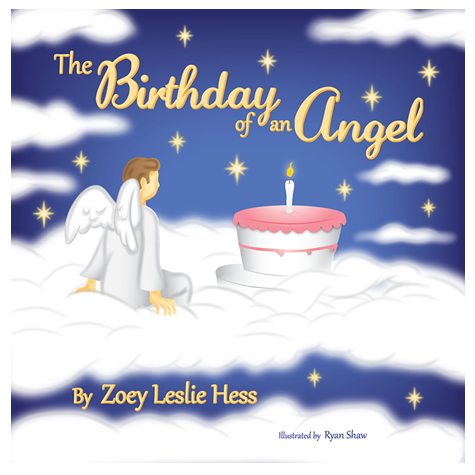 The young author of this charming book has inspired me to call that abiding and healing presence an angel." No other book, written by a child, explains the loss of a loved one from this unique and positive perspective. Readers of all ages are sure to be touched.